A perfect holiday for me would be a break when I can relax, watch television and do nothing for a change. 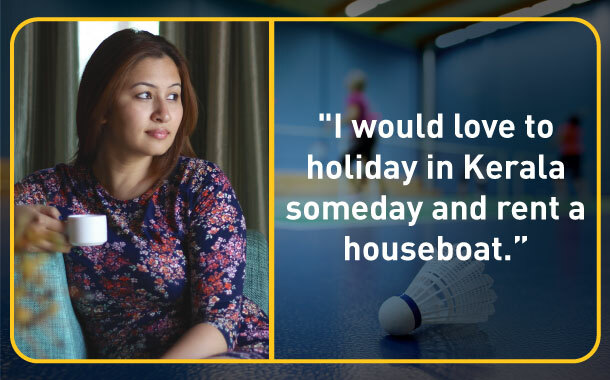 Badminton requires a lot of travelling and leaves me with very little time for a vacation. Whenever I get a break, I prefer to stay at home or dine at good restaurants. In the last 25 years of my life, I have not been to more than seven holidays. I’m not an adventure lover. My skin is allergic to sun, and therefore I try to avoid beach destinations. I prefer to travel to places where the climate is cool; preferably a remote destination. I stay away from crowded places. 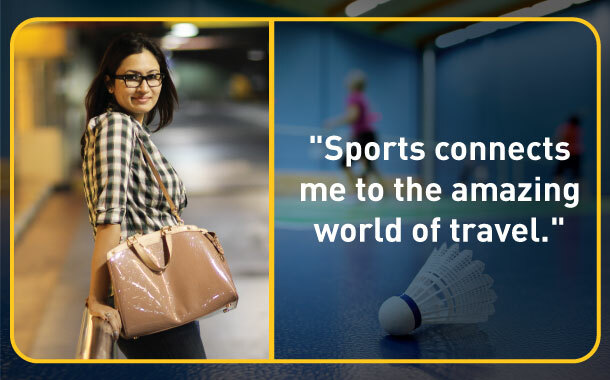 I am connected to the world of travel through sports. It will always remain the same; be it today or in the future. I love travelling to UK. It is a beautiful place that makes you feel comfortable. I had visited Canada recently and fell in love with the place. People there are extremely helpful. I believe in forgetting bad experiences and reliving the happy moments. Though I haven’t experienced something really weird off late, but an incident that took place a few years ago had affected me a lot. It was during the start of my career when I was in Germany for a match; during our stay at a hotel there, our coach Vimal Kumar had the team’s money for the trip with him. One day, the entire money got stolen from his room. We were sure that someone from housekeeping had stolen the money because the lock wasn’t broken, but the hotel authorities refused to accept any responsibility. Thankfully, the Indian Embassy in Birmingham came to our rescue and helped us out. I am a die-hard foodie. Whenever Ashwini (Ponnappa) and I travel together, we always try the local food. Often, Indians travelling abroad prefer to eat Indian food, but we believe in experimenting and trying new cuisines. Ashwini and I love Thai, Italian and continental food. My laptop; I’m hooked on to the television series ‘Orange is the new Black’, and therefore always need my laptop with me. I’m not a solo traveller. I can never travel alone; I always need company. Hyderabad doesn’t have too many weekend getaway options unlike Bangalore from where you can go to places like Coorg and Chikmaglur. But given a chance, I would love to visit Goa during monsoon. I’ve been thinking of this for a very a long time now. I want to plan a holiday in Kerala. Book a houseboat and spend a few days there. I also want to drive around South India; it’s beautiful! Hyderabad; I’m a true Hyderabadi. I cannot live anywhere else. Heart Cup Coffee at Kondarpur in Hyderabad. I get my privacy there. Amazing food combined with good music – What else can you ask for? I can’t live without my friends, my phone, my family and peace of mind; they are an important part of my life. 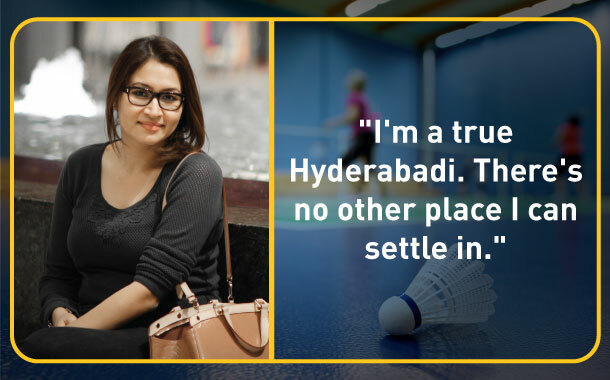 During the start of my career, my dad always told me that badminton is a part of my life, but not my life. Tomorrow, I may injure myself and might not be able to continue playing, therefore I should always be prepared to move on. I don’t’ lie or manipulate to get my way. I am happy with what I am and what I get. I fight for my rights. I am a very honest person and it shows on my face. I sleep peacefully; I live peacefully and can handle stress because of my truthfulness and my clean heart. I’m not a planner. I live every moment of this beautiful life. I want to develop sports in the country. I am where I am because of my grit and my will.